We are a family owned and operated business with multiple generations of plumbing experience. With over 100 years of combined Plumbing & Service experience we carry a great reputation, holding ourselves to the highest standards. Most of our staff has grown up in the area building long lasting relationships with local families, businesses and organizations. We can handle any job, no matter the size. Our expert staff carries multiple licenses and certifications in the plumbing field including Master Plumber, State Certified Backflow Testing, Medical Gas Systems. We also maintain multiple specialty vendor license for gas, solar, faucets, and water heaters. We Guarantee Quality Work and pride ourselves on our level of customer service, Because Platinum Is Our Standard! Our team is trained and certified to handle any problem, large or small. Cecil has over 20 years of local experience. Specializing in New Construction and Commercial/Residential Service. He is a State Licensed Plumbing Contractor & Backflow Tester. He is also certified to work with medical gas. Cecil has lived in the area for over 30 years and is highly involved in the community coaching youth sports for 13 years. 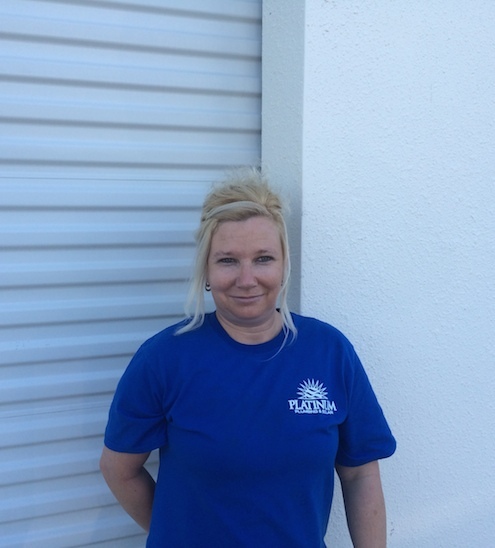 Stephanie prides herself on putting all her experience to work keeping things running smooth at Platinum Plumbing & Solar. She’ll be happy to work with you to schedule your next service appointment and to talk with you about your recent Platinum experience. She has lived in the area for over 30 years and like Cecil, she is a staple in the community, volunteering her time to help with the areas youth sports programs. 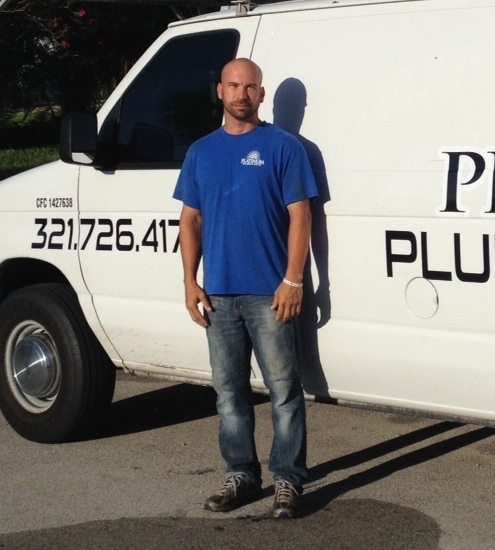 Andrew has over 10 years of residential and commercial plumbing service experience. He specializes in pump repairs of all kinds, leak detection, gas installs and repairs, solar installs repairs, stoppages and water heaters. He holds a state certification for backflow tests and repairs. Louis is an exceptional service technician with over 30 years of experience. He specializes in all levels of plumbing. Louis is known to really shine through with his high level of customer service. 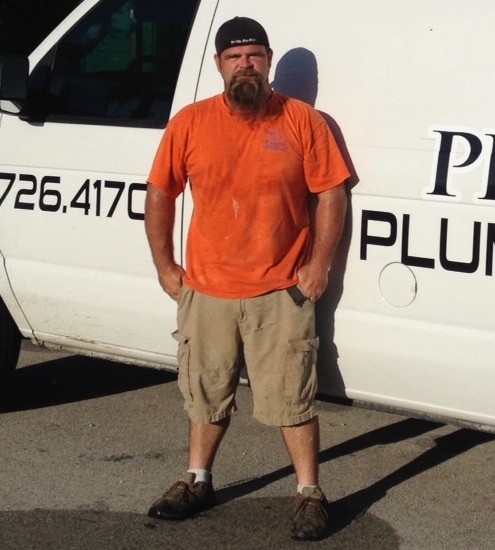 Mark has over 19 years of experience in the residential, commercial and new construction plumbing. He has worked on projects as small as a house remodel or addition all the way up to multi story buildings, and grocery stores. In addition to his plumbing qualifications, he holds a Medical gas license. 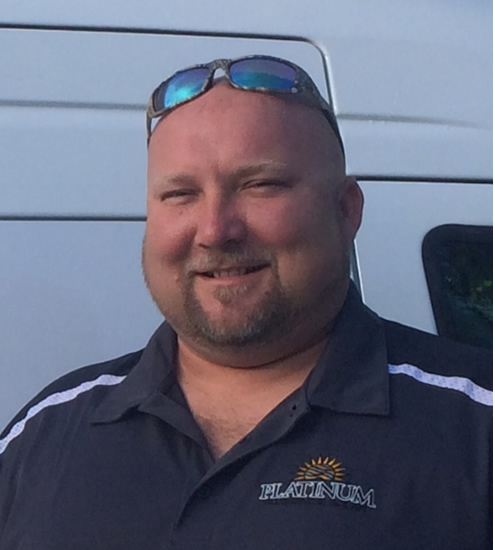 Shea has 15 years plumbing experience working on residential, commercial and new construction projects. I had Platinum Plumbing put in a new toilet for me several months ago. I was so pleased with their speed as well as with the quality of their products and workmanship I had them put in a new water heater and two new faucets. I am extremely pleased with my products as well as the customer service i received while they were installing them. Their service was excellent and the owner really cares if his customers are happy with their products and service. It reminds me of the company I work for Publix® Supermarkets, their prices were very affordable and I will not go anywhere else for my plumbing needs. I strongly recommend them for piece of mind in knowing that you got the best price, product and service in town. I used Platinum Plumbing for my plumbing needs in Palm Bay for years. I was always confident in their knowledge, professionalism, level of customer service and value. Since relocating to Tampa I can say without question that their Platinum Service is unequaled and sorely missed.